A human has to understand the proper functioning of his/her body, cause for diseases and its remedy.This web site will be your best doctor without much expenses. This site aims to bring awareness about health, mind and soul. The contents provided here are authenticated information taken from Vedic and Traditional methods donated by great Siddha's.Kindly refer "For Long Life Article" and "Contact Me" page without fail. "Stay Tuned for more"
THOUGHT FOR THE DAY ! Look to your health; and if you have it, praise God and value it next to conscience; for health is the second blessing that we mortals are capable of, blessing money can't buy. This article guides you to prepare natural home medicine to cure many sort of disorders and discomforts like indigestion, gastritis, acidity, constipation, obesity, headaches, dullness, laziness, body pain, menstrual irregularity, hormone imbalances, cholesterol balances, blood purification, cold, cough, sneezing, toxic elimination and chronic diseases too. 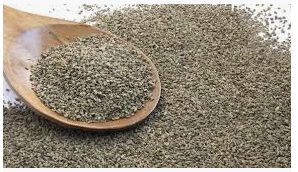 This medicine helps to balance vata, pita and kapa. This medicine improves overall wellbeing of your mind and body. CAUTION: Ladies this who are planning for baby and already pregnant need to be avoided. Not to use this medicine for your ailments. There are only three ingredients required to prepare this herbal medicine at home. 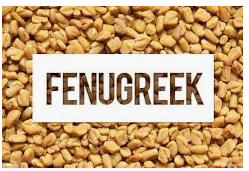 The required items are three, fenugreek seeds, carom seeds and black seeds. It is simple to prepare. 1. Roast or fry each of the item in the pan separately. 2. Mild roast or fry is enough. 3. Let all the three items cools down. 4. Put it in the mixi jar and do the fine grinding or make a dry powder. 5. Let the powder completely cools down. 1. Each day after dinner, half (1/2) an hour later you need to consume this powder. 3. You should not eat anything after the consumption of this medicine. You may drink water if necessary as and when required. 4. This medicine need to be taken on regular basis about 3-4 months for the best results. ATCHAYAPAATHIRAM - SIMPLE TEMPLATE. Watermark theme. Powered by Blogger.